where a pot of tea is privy to all manner of human experience. 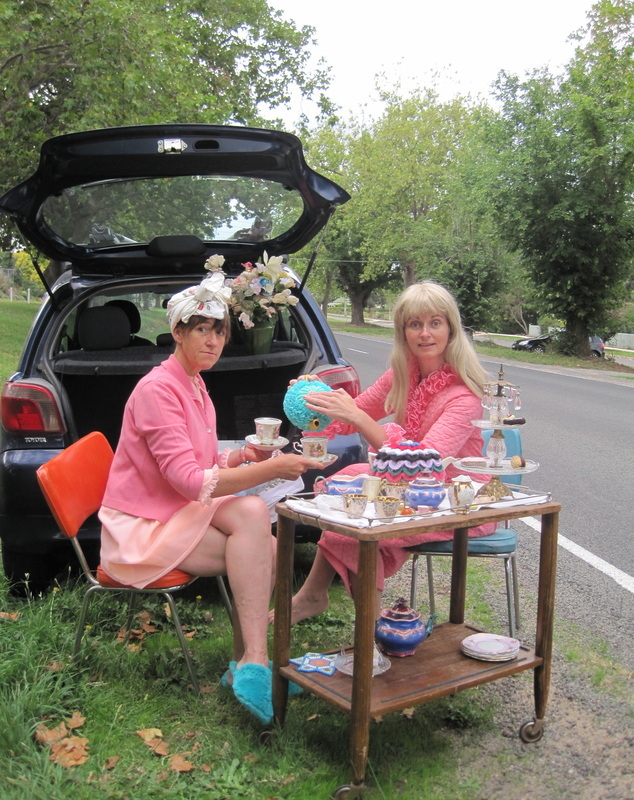 The Tea Ladies travelled from Victoria, through NSW & into Queensland collecting tea cosies along the way to hand-deliver them to the 'Tea Cosy Capital of the World' in Miles, Queensland, a mere 340 kms west of Brisbane. 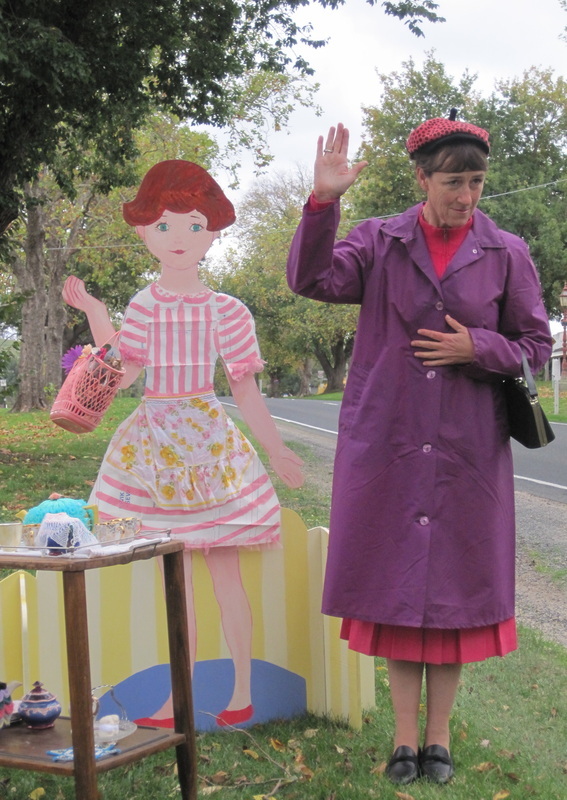 Travelling with a life-size Polly doll, they stopped at Country Women's Association (CWA) centres along the way. The CWA women each designed, made, and took home their own Mini Polly with her alter-ego outfit. They also worked together to design & construct a life-size Polly outfit, all of which were later exhibited in an historic CWA hall at the 'Beef, Bells & Bottletrees' Festival in Miles, Queensland. When Pope Benedict XV arrived in Australia, busloads of people, young and old set out on a modern day 'pilgrimage' to visit him in Sydney. This got us thinking, if we were to make a pilgrimage, what would it be? What is the the nature of a pilgrimage - is it reaching your individual ‘mecca’ or the journey itself? ​​An article in 'The Age' newspaper captured our attention - 'The Tea Cosy Capital of the World', Miles, Queensland was holding it's 'World's Best Tea Cosy Competition'. As long time collaborators, we believe that a fresh pot of tea is privy to all manner of human experience, and so, we embarked on TEA TALES - The Road Trip.